TribLIVE – Breast milk is crucial nutrition for infants who might be struggling or facing medical challenges. But what happens when mom is unable to provide all that her baby needs? Banked milk from donors is a safe, simple solution and thanks to many donors and community support, it has been available and saving babies’ lives in our region since January. Three Rivers Mothers’ Milk Bank opened its doors in the Strip District nearly a year ago to ensure that hospitals and babies of Pennsylvania have access to an ample, reliable supply of lifesaving donor milk. The nonprofit milk bank is accredited by the Human Milk Banking Association of North America (hmbana.org) and follows strict safety guidelines. Generous volunteer donors are carefully screened in a process that includes a thorough medical history and blood work. Donated milk is bottled and pasteurized before being distributed by prescription only. Since the opening of the milk bank, all high level neonatal intensive care units in Western Pennsylvania, including our own Children’s Home of Pittsburgh, Children’s Hospital of Pittsburgh of UMPC, Magee-Womens, Mercy and West Penn hospitals, have switched to donor milk for their most at-risk infants. This is a huge undertaking given that none of these facilities was using donor milk when the milk bank was just an idea in 2013. Over 225 infants, just in the Allegheny Health Network and UPMC facilities alone, have received donor milk so far this year. The milk bank currently serves 15 hospitals all across the state and has distributed over 60,000 ounces of donor milk in the past year. We are so grateful for the outpouring of support from mothers near and far. More than 300 moms have donated 82,000 ounces of their breast milk in just one year. Thanks to this large pool of donors, we have been able to meet all of the needs of our local babies, not just the highest level NICUS. And now, we want to expand our reach to help more Pennsylvania babies and beyond. After reaching almost all of Western Pennsylvania, the Three Rivers Mothers’ Milk Bank is ready to take on the eastern portion of the state. While many of these hospitals already have well-established milk programs, they often have difficulties sourcing milk. A milk bank in state, however, means it is much more accessible to the hospitals and babies who need it most. In our second year, we are also hoping to further expand our reach to outpatients. Several area pediatricians and specialists have already partnered with us to help babies on an outpatient basis who might be facing troubles, including allergies, post-surgical nutrition, failure to thrive, malabsorption disorders, gastrointestinal disorders, and adoption. As these needs increase, we want to be there to give our support to moms and babies in need. 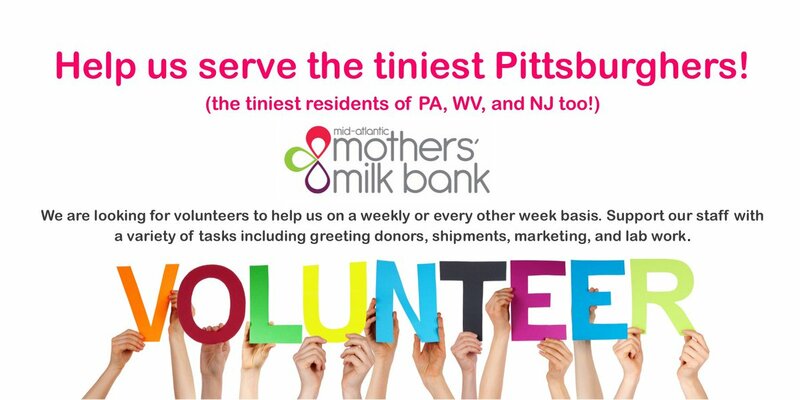 The milk bank has many more plans for the second year of operation, including meeting the needs of more hospitals and helping several Pennsylvania NICUs establish new donor milk programs; being part of legislative advocacy efforts to secure mandated insurance coverage for donor milk in the state; and continuing to engage with more and more generous donors. Our ultimate goal is to make milk banking the norm by weaving it into the maternity care culture in our state. We want everyone to get on board: more donors, parents and clinicians. But most importantly, every baby in need because they deserve the very best care we can offer them. Denise O’Connor is the Executive Director of Three Rivers Mothers’ Milk Bank located at 3127 Penn Avenue in the Strip District. For more information, please visit threeriversmilkbank.org.